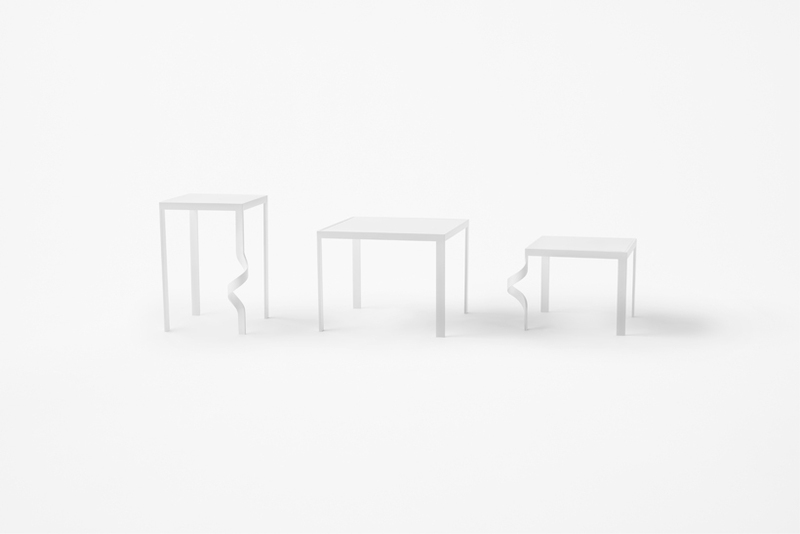 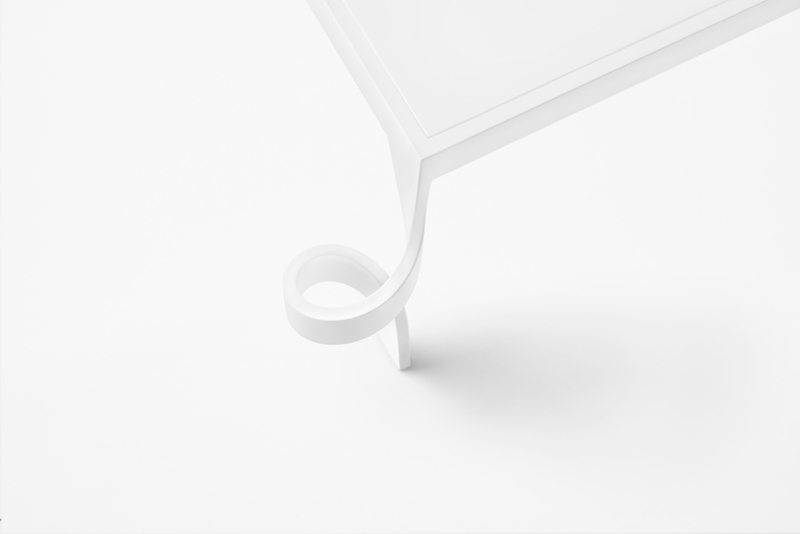 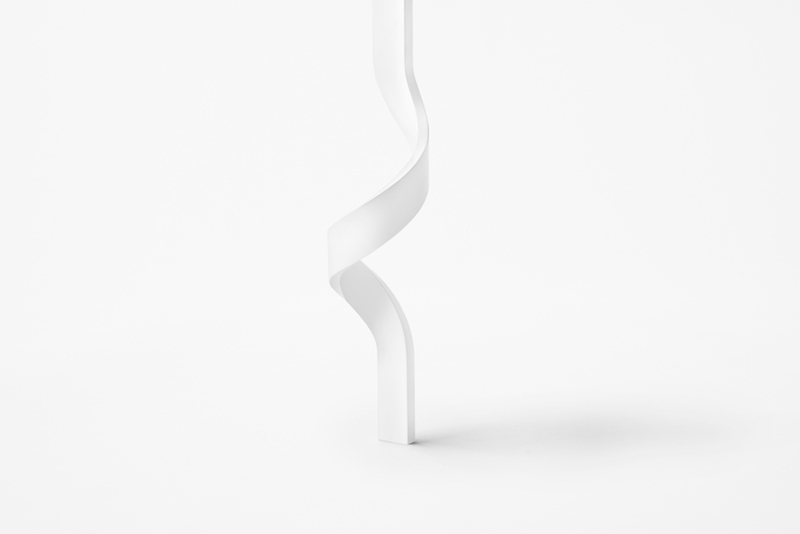 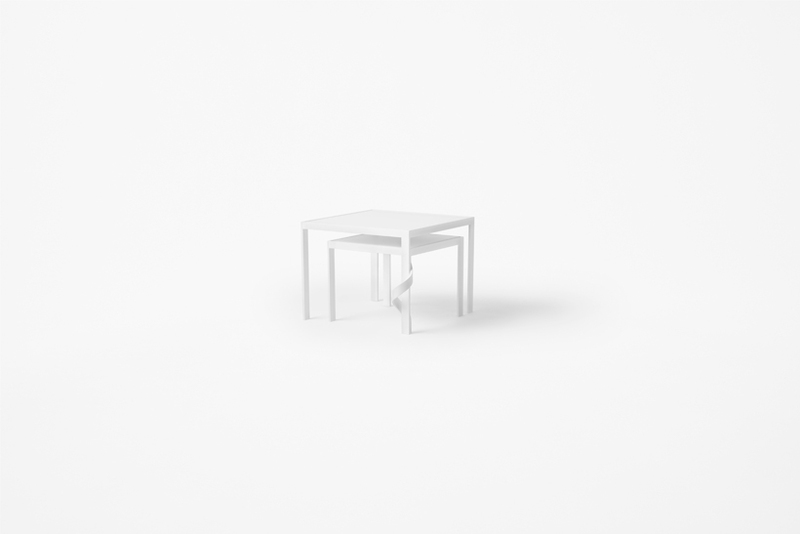 A side table with just one leg that is twisted. 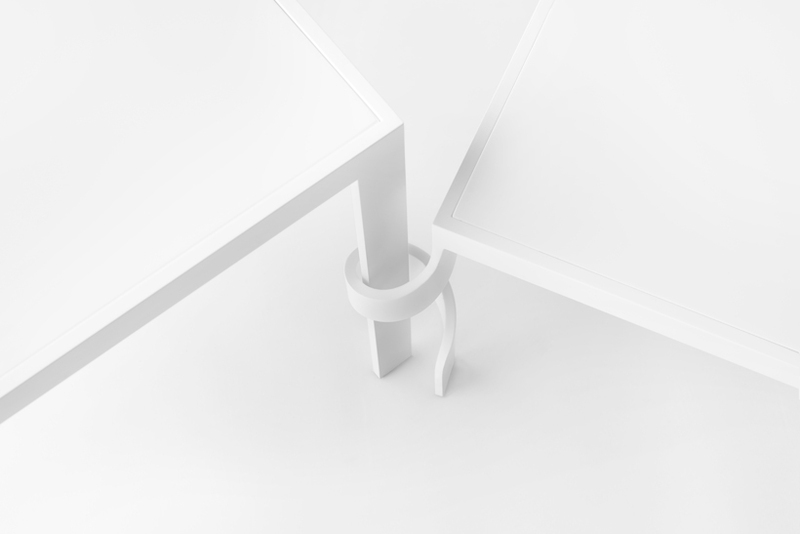 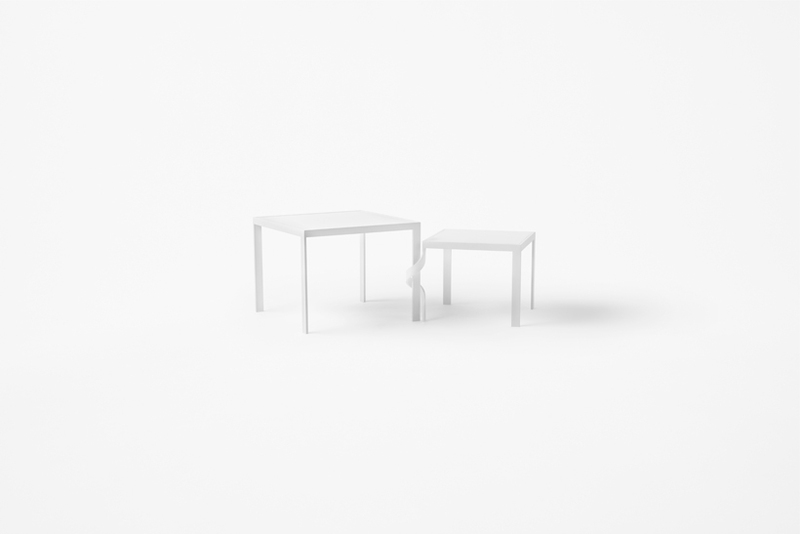 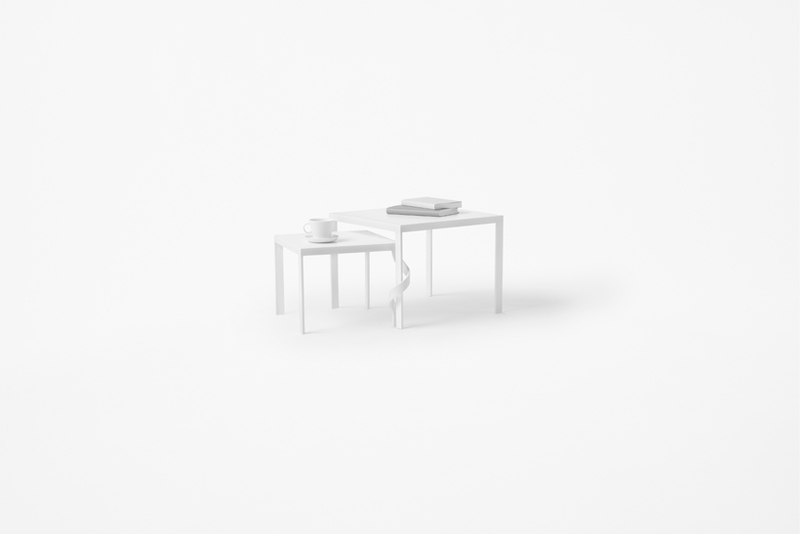 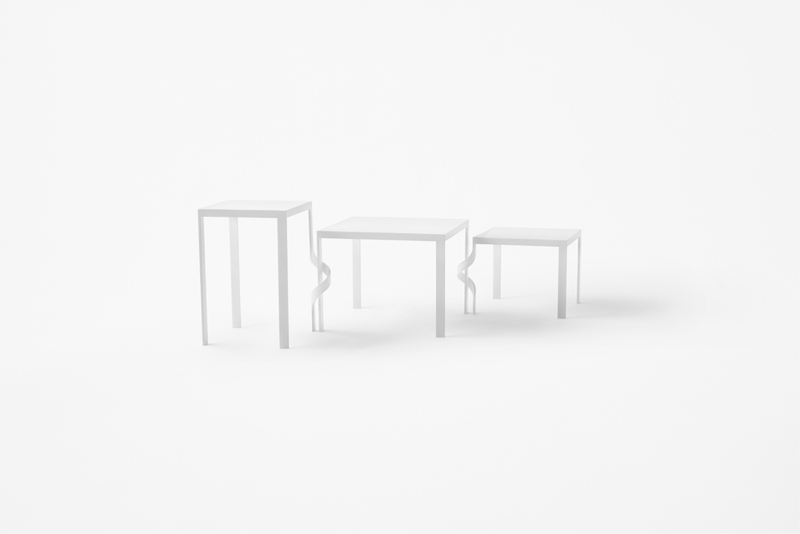 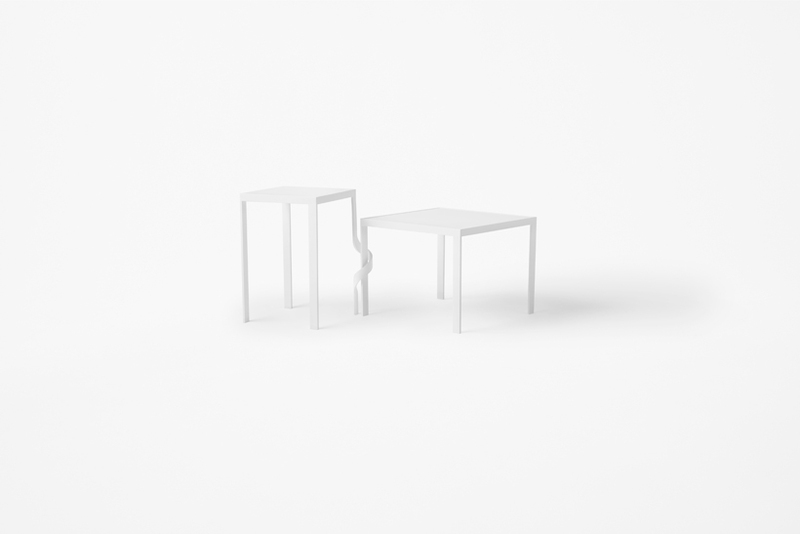 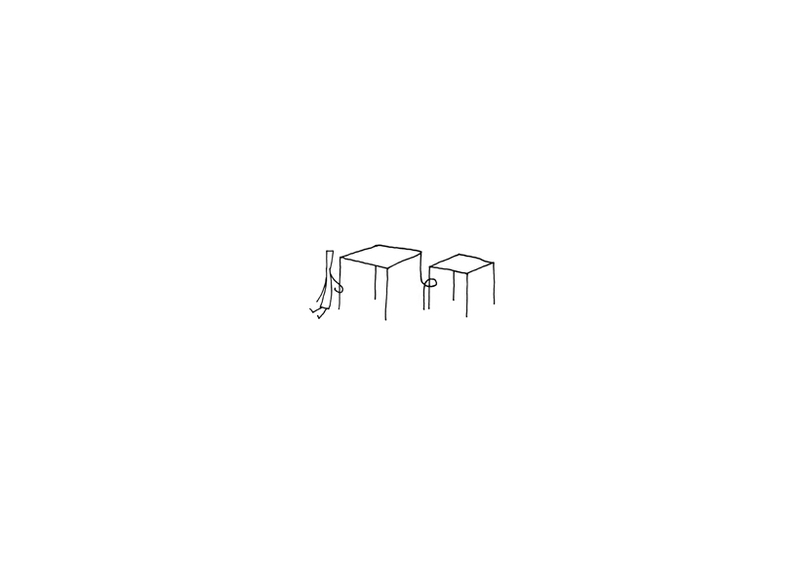 By placing the leg of another table into the twisted section of the first, the two tables appear to be entwined together, as if holding hands. 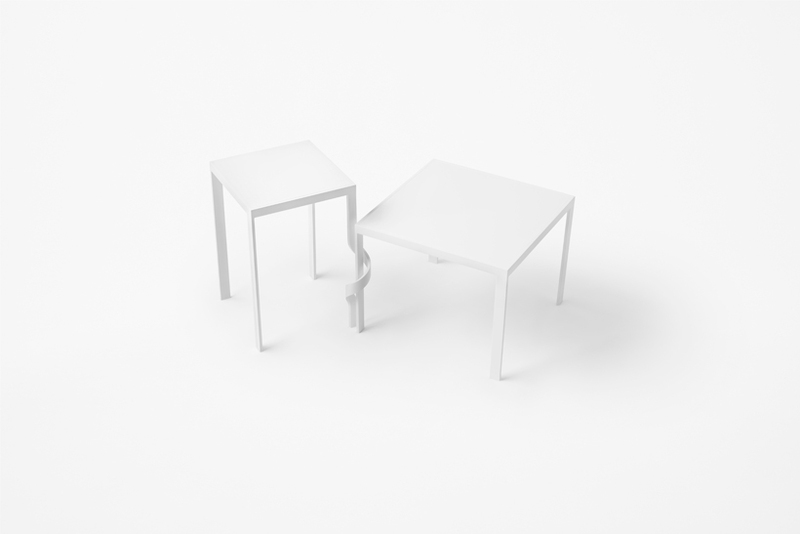 This relationship between the tables only becomes apparent through the pairing of multiple units.